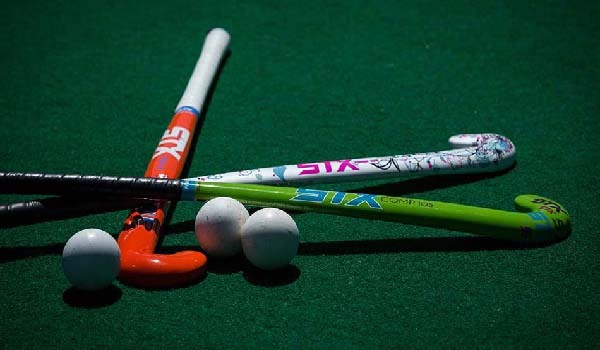 ISLAMABAD, Aug 8 (APP): Higher Education Commission (HEC), Sindh Colours and Wapda won their matches in the ongoing 29th Women Hockey Championship by defeating their respective opponents here at Naseer Bunda Hockey Stadium on Monday. In the first match HEC outclassed Sindh Whites 12-0. HEC’s Shafaq-ul-Ain and Abra Sheikh scored four goals apiece, while one goal each was scored by Sehrish Waheed, Qurat-ul-Ain, Rekhsana Shaukat and Bushra. In the second fixture Sindh Colours overwhelmed Punjab Whites 4-0. Sindh Colours Tehmina Ghulam Mustafa netted two goals, while one goal each was scored by Kashmala and Momal. In the third match Wapda defeated Balochistan 11-0 in a one-sided affair. Wapda’s Afsan Noreen netted four goals, while Ishrat Abbas and Tabinda Safdar scored two goals each. One goal each was scored by Sidra Kanwal and Abreen Arshad.